Immediately after being re-elected in April, Viktor Orbán indicated that addressing demographic issues would form a central plank in his government’s program. The decline in Hungary’s population has been a reality for more than three decades, after peaking at 10.7 million in 1981. In 2017 alone, the country’s population decreased by 40,000, with the number of births falling by 2.9% in December, compared to the same period in 2016. Hungary’s population is now just over 9.7 million–one million less than three decades ago–and the fertility rate is 1.49, lower than the European Union average of 1.6. 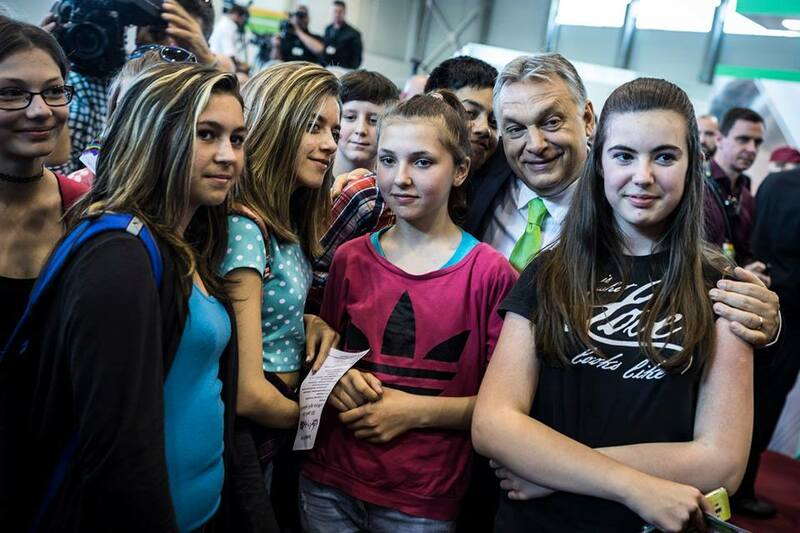 Viktor Orbán with young Hungarians on 23 April 2018. Mr. Orbán is correct in noting that a more long-term approach is needed when it comes to questions of demography. It would make little sense to launch a program that lasts four or eight years (the length of one or two government mandates), when the decision to have children involves a direct commitment for parents lasting 18 years or more. Other incentives that observers believe the government is contemplating include the expansion of day care and kindergarten programs, as well as supporting companies that provide flexible part-time work for mothers who wish to return to work gradually. Another idea floated around in Hungary is to use pensions as an incentive for Hungarians to have more children. In other words, more children would mean higher pensions, while those who do not have children could be indirectly penalized through smaller pensions. This idea is certain to be divisive in Hungarian society. Mr. Orbán will probably need a credible female government minister if he plans to reach out to Hungarian women and to engage them on these issues. The Hungarian government has not had a single female minister since June 2014. Up until that point Mrs. László Németh (née Zsuzsanna Serényi) served as Minister of National Development and as the only female member of the Orbán cabinet. There is some speculation that 40 year old State Secretary Katalin Novák may be appointed minister. The other issue with Mr. Orbán’s plan is that it ignores men. It would appear that men have no role to play within a relationship when it comes to deciding whether to have children, and that they have no role to play in child rearing. Both mothers and fathers have responsibilities when it comes to raising children and ideally, they are equal partners. As a recognition of this reality, Mr. Orbán should consult both women and men. So, once again you have a group of men telling women what to do — it’s their responsibility to make more children to keep Hungary Hungarian. Of course, it ignores any possibility that the government bears some responsibility for creating an environment that encourages skilled, educated people to stay in Hungary rather than seek better opportunities elsewhere. Or provide better public education, or better healthcare, or a fairer business environment. But I don’t really expect any of that to actually happen. Some valid criticisms, especially at the end in regards to focusing on women, without mentioning men who also have a part in deciding how many children to have in a family. Having said that, Orban is currently the only Western World leader addressing this issue from any other angle, aside from the failing grand scheme of ethno-cultural demographic replacement of the native Europeans, which the natives are waking up to and rejecting in increasing numbers. Got to give him credit for that, as well as for the fact that by 2011 Hungary’s birth rate declined to just 1.25, having risen to 1.5 since then. That is 1/3 of the way there to the needed increase to 2.1. Personally, I think it is a Western World cultural issue. Cultural shifts back to the desire to have larger families, or even having a family at all can happen. For instance, I know many people who grew up in a single child family who stated that they want to have 2 or 3 children, because of their own negative experience with being raised in a 1 child family. As more and more old bachelors & bachelorates are now reaching their fifties & sixties, the glamour of single life is also starting to wear off, with more and more people from my own experience. Dying old and lonely is not quite as cool as it may have seemed when these singles were in their 30’s & 40’s and playing in nightclubs. Orban’s policies may help ameliorate the demographic damage while we are still going through this cultural period. At least Hungary will still come through it as the home of Hungarians (together with its historical minorities), unlike most of Western Europe that seems poised to become an extension of ME-Africa by the end of this century. That was quite an exhibition of mansplaining. Both you and Orban are clueless. Yes, and clearly you see all very clearly and correctly! I am not exceptional. But, it is not hard to find someone whose vision is better than yours. – disparaging, heavy gender bias in public life. Orbán stuffed it up big time (like anything he touched, although not as bad as soccer). Another round of crude meddling and nation withering? That was actually in the aftermath of the previous government’s debt fiasco. Can’t believe you keep repeating it, even though it is so false! Just a few examples of how much bull you have to rely on in order to try to make your point. If you have to lie & distort so much in order to make your argument, it clearly means that you do not have one! Since 1993 the emigration rate has been steadily increasing with some small ups and downs along the way. There is no convincing evidence that Fidesz has reversed the trend. And in select demographic groups, the young, it has increased. Let’s not forget the recent surveys that show that half of Hungarian youth are considering leaving. You have nothing to crow about. A major decrease in fertility rates occurred in the mid-1990’s. Compared to that period of rapid decline the last 10 years has varied little. So, depending on how much variability you use in your definition of stagnant, it has been stagnant under Fidesz or very close to stagnant. In any case, nothing to bark about. In 2011 both birth rates and death rates were lower. In 2017 birth rates were up a bit, but so were death rates. As a result, the mean population change due to both these factors was almost exactly the same. 2011 -40,700 and 2017 -40,100. Fidesz is not exactly winning compared to the previous goevrnment. Exactly Peter! As it looks now Western Europe is going in that direction. Committing ethnic and cultural suicide! Shortly after OV, in his election campaign, harrassed small children at a kindergarten, I watched a TV-docu about Germany in the 1930s. In it was shown a ‘German leader’ campaigning with small children, two seemingly independent happenings, but the similarities in methods used ‘hit me in the face’. Another thing shown was the ‘leader’s pushing of young women to become patriotic mothers. And now OV seems to follow that same path. When Mr. Orbán summarily fired his US Ambassador, Réka Szemerkényi, and reporters asked him to explain his reasons for doing so, he responded by saying, that he doesn’t concern himself with women’s issues. If he wants to make a deal with Hungary’s women, he should act like a man. Now that is objectionable! Just why a PM wants population increase ? His first duty is to protect the rights of the population, and NOT to interfere in their private life. Does he attempt to treat the population like if he was a farmer who profits on the increase of his livestock? Evidently he looks upon young women as some breading live stock. On the KMH a similar article appeared but the author sure took a beating for it. Actually it was very very disgraceful to women. But that’s how dictators, both the national socialists as well the international socialist followed such policies in the interest of their political and military conquests. Demanded more and more victims to be sent to the slaughter-house. Just like the stock breeding farmers. First improve the lot of, create opportunities forof the born ones. 2.1 is not a magic number. It assumes that emigration, immigration, and death rates will remain constant. That assumption is never true. If the latest “win” by Fidesz triggers another wave of youth emigration, the birth rate will need to be larger just to maintain the population at current levels. You are absolutely correct. If the issue of emigration is not resolved, then the short and medium term problem of a rapidly ageing and dwindling workforce, as well as the dearth of qualified workers in key segments of the economy will turn into a true crisis for the country within the next few years. (It’s already at crisis levels in some sectors, especially health care.) Just looking at my own family and friends in Hungary, it is startling to see how many in my generation have left Hungary–and many of those who have not are pondering it seriously. With one of the fastest-growing gains in wages in the EU since 2014, I’d say that emigration is also being addressed. It is the only way to address that issue! Still a long way to go, but clearly going in the right direction in this regard as well. Thankfully, the last election did not bring about a return of the people who brought Hungary the debt bubble fiasco, which set Hungary back by about a decade, at least! lead to shortage of qualified work force. Voilà! Great success of Orbán’s. The income stagnation was mostly due to the aftermath of the twin debt bubbles that the previous government oversaw. Stop lying! And wage growth has actually been robust since 2014, so we are entering the fifth year of robust wage growth, without another debt bubble supporting it. So there is your second lie. And you told plenty more in your other comments as I pointed out! Observer is not the liar. There has not been robust wage growth since 2014. More like one year of robust growth. In most country’s you own the economy by your 2nd year in office. Yet, you keep making excuses for Fidesz and keep blaming the previous government. Not everyone is as convinced as you of the Fidesz economic miracle. I don’t always have the patience to revisit the flat Earth issue. Add the FX “debt bubble fiasco” lie, as if it was not fidesznik Zs.Jàrai/HNBank who jacked up the HUF base rate to 12.5% in tune with Orban’s “for a strong economy we need strong currency” – actually trying to slow the economy. Once in gov Orban & co did exactly the opposite, starting with the E/HUF 270 to 310 bust in mid 2010. Fidesznik = a brazen liar. Here is another reality check for you! You provided a forint-based assessment of wage growth, which did not take into account the fact that until 2013 the forint was on a steady depreciation path versus the Euro. In other words there may have been a 5% increase in some given year, but more than wiped out if the depreciation versus Euro was 10%. That is why I prefer to go to Euro comparison, where it shows Hungary’s real wages increased by most in the EU aside from Romania & Latvia. since 2014. As for opinion pieces, one would expect this from NYT. But there are also other opinions that say otherwise. This quote from the article is also an answer to Observer, who also needs a reality check! First of all it’s L. Bershidsky and retelling the gov tales. Second: check out the critique by A.Chikan debunking the Orban figures. Third: The 19% growth of wages is similar to those at the bottom of the table and after this great “success” Hun wages are the 26th lowest out of 28. Great. Yes, but just think that if it were not for the debt fiasco the previous government left Hungary with, it might not be so low near the bottom of the table. There is only one way to get off the bottom and Hungary is doing it, while the previous government’s policies led to Hungary plunging to being near-bottom in 2002-2010, and in the few years after, thanks to the mess they left Hungary in. So what exactly do you take issue with? Do you feel that somehow Hungary could have done even better? Be my guest and do tell of your great proposals which you believe would have made a great deal of difference! You can repeat the Fid propaganda panels/ lies indefinitely, they are not going to become truth here (Dr. Göbbels has no sway here. – serve justice to the Orban Mafia down to town level. In other words you have no idea what should have been done that might have led to a different outcome. If Orban would have not been elected in 2010, Hungary might still be on IMF life suport right now. Romania with far lesser problems was on it till 2014, with constant cuts to health & education (something that left always reproaches on). That means FX debt would have not been addressed, the hundreds of thousands of Hungarians who left to work in EU, would have become millions, just like is the case with Romania. The crap that you referenced is general, and mostly overblown opposition propaganda. Please do tell “reality check”, which aspect of Orban’s win you envision triggering another wave of youth emigration? Is it the low unemployment rate and job availability? Or is it the recent trend of real wage growth in the 10% range? Yes, this is all so awful! Clearly the country needs to be loaded with debt and returned to the IMF in order to keep the young people from leaving. Haven’t you been following the massive protests? Do you have young Hungarian friends? Because many will tell you that they are now seriously considering leaving for the west, while the gettin’ is good. The young are not just concerned about the economy, which is not as great as you say and still lags far behind most of the rest of the EU, but they are also concerned about the politics. If you are interested in a serious college education, you are more likely to leave if you can and get it in the west. And if you are a young woman, you know your chances of professional advancement are greater in the west where the degree of gender inequity is not as great. Your last statement was just a stupid. Have you not seen the election results? Fidesz won with all age groups, including the young. I have no doubt that some are having one of those hysterical reactions, similar to American leftists always promising to move to Canada if a Republican wins. But in reality, the Hungarians who will leave Hungary in coming months or years will mostly do so because of personal economic interests, rather than because of the election result. The ones moving back will also do so out of personal interests rather than election outcome. Fidesz did not win the majority of votes. The combined opposition parties did. So even if Fidesz won in the race among parties, it did not capture the majority of the youth vote. This means there are more young in Hungary who are opposed to Fidesz versus who support it. And you keep losing focus, even if only 5% of the young leave because of the election, there goes your any hope of a demographic recovery. But there’s always immigrants – Hungary could use some color anyway. I totally agree. Mr Orbán should consult both women and men. The reality is, that Hungary has problem of providing a desired economic opportunity and living standard even for its present number of population. So, based on that undeniable fact, Hungary need to reduce its population ,in order to be able to provide for less inhabitant. Considering the size the country and the economic possibilities, around 6 million inhabitant seems to be the right amount of inhabitant to live in accordance of the country’s ability to provide a fairly reasonable living standard. Having less population, there be more of everything for every one. More people, less of everything for every one. Especially in case of Hungary being without any natural resources to provide a better life for all. Resources on this planet Earth are NOT unlimited! We have less and less of everything by every day, yet ,more and more humans that want everything without limits, yet unwilling to share. – leading to mass migration. Memento the curse ” may you live in interesting times”. Not growing in the Health and Education sector which is a large catalyst for emigration, particularly for those employed in the latter. Also the multi-nationals, especially the big German car factories, are in Hungary for two, possibly three reasons. Once wages start rising (and they are) and/or there is a skilled labour shortage (and there is) then the position of the multis staying in Hungary is decidely shakey. Here we are talking about government spending. And when it comes to government spending, in the longer term you want to keep spending growth on such items within GDP growth. Due to the nature of demographics (ie once a birth-rate starts falling, it is very hard to reverse in the long-term, for obvious practical reasons), it seems a bit of too much too late, like 30 years too late. Emigration is generally of those in the 20-40 age bracket and this can only compound the problem. Except for certain sectors (ie health, a lot of non-European doctors already study and graduate from Semmelweis), immigration won’t really help, but not for the “ethnic” or racist reasons stated. What jobs would the immigrants do (and without jobs, they are not going to have kids) without the knowledge of a language which is fiendishly difficult to master? If Orban was serious about consulting with women and specifically mothers they would tell him that although the *big* gestures such as mortgage help, tax breaks etc are welcome- it is the more practical issues which hinder couples choosing to have children. For example, the ridiculously long school summer holidays (round about weeks) which are a nightmare for working parents to deal with. the country is losing the best fruits of its demographic and education efforts. And it’s not only wages- the workplace and social environment, the job and entrepreneurial opportunities are big factors where Hun is failing miserably. It’s the case with all kinds of living species. Where there is little opportunity for a healthy and desired living, the species are always get on the go, and move where the chances are better for survival. That’s the only reason people are on the run from their native lands. Troll ! Have you not heard that Hitler, Stalin, Alyev in Azerbaijan, the Chinese Communist leader, or Dzinghis Khan, also won with all age groups, including the young ? Have you not heard, that just because 80% per cent of Hungary’s isolated villagers voted for Orbán, (and whose only source of news is that which Mr. Orbán’s biased media dolls out on Andy Vajna’s or Lőrinc Mészáros’s presses) does not make them right, or brighter than ALL the conservative think tanks in the world, along with Hungary’s Civil Liberty’s Union, or Hungary’s best legal minds in her Academy of Sciences. Yes, establishment conservatives in the Western world do have an interest in maintaining their sovereignty over the masses, together with the left establishment, so they will spew venom any time a political insurgency emerges, regardless whether it is left or right. The Western world is close to the end of its end of its 500 years of global supremacy. The only question at hand right now is whether it will adapt to the new realities, or arrogantly pretend it is still on top and thus refuse to change, even as it keeps sinking. When a society has had so many generations of success & supremacy, inevitably there will be very well entrenched elites and a significant proportion of the masses will believe that they are the best option. Currently they play the left-right game for the amusement of the masses and they call it “democracy”, while in reality they share most of the same core goals. Goes without saying that both teams, left & right will hate renegades or bottom-up insurgencies emerging from their increasing failure to deliver. This is what you are in fact pointing to and for some reason you think that it should make some sort of impression on me. Such a long academic career, yet so clueless in regards to the world we are living in! No surprise here, you are personally deeply invested with the establishment and the system they try to maintain, even though it is failing. I know it is hard to see the failure when still on top, with still the best living standards, and so on and so on, yet if one looks more closely, it is there, just like it was there in Western Rome for 100 years before its actual collapse, and yet everyone refused to see it. Just think of the institution you are a part of. In the 1970’s, 80’s, 90’s young people used to attend and and it mostly got them somewhere. Now a bachelors will only mean a job that used to only require high school or less for most graduates, while the cost of attendance has risen greatly. This is a problem, yet what changes are being proposed in order to change this institution and the role it plays in society? Nothing! The interests are too deeply entrenched. It is the poor bastards who end up with student loans and no future who pay for it, so it is OK! 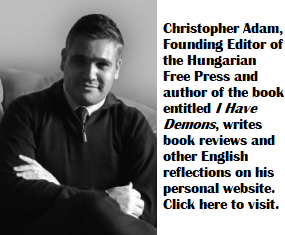 I know it is quite awkward for someone like me, living and working on a “Fidesz troll farm” to recommend reading material to such a distinguished academic such as yourself, but if you find the time, do read some Peter Heather, a distinguished historian specializing on Roman history and do so with an open mind, perhaps you might get a clue. If one reads and has the objective mindset needed to draw the parallels between its gradual failure & collapse and Western society & its trajectory, one can see that the parallels are a lot more credible than the ones you tried to draw between Orban, Hitler, Stalin……..
Those on the left and right criticising OV are basing their critique on the facts of the corruption inherent in the regime. It has nothing to do with your nonsense about resistance to paradigm shifts. The shift seen in Hungary is not disparaged because it’s a shift away from the left and the right establishment, it is berated because the shift leads in a bad direction. One toward autocracy and institutionalized corruption. I would be happy to see shifts in NA and the EU, but not in the direction Hungary is headed. Boy! If you believe this, you really need a reality check in regards to the world you are living in! Did anyone in the Western world give a hoot about Saddam Hussein murdering thousands of Kurds with chemical weapons? No, because he was Washington’s SOB. They invaded Iraq in 2003, when there was no credible reason to do so, because he was no longer their SOB, while he was sitting on the world’s fifth-largest oil reserves, within the context of the global oil market becoming very tight back then. If Orban would have been the Western Elite’s SOB, he would be the cleanest, most democratic leader in the region. The chants of “Viktator” in the Western world started in 2011, soon after Orban decided to do away with IMF’s prescription of austerity and instead he went ahead and taxed the banks, most of which were foreign-owned, not to mention that he became the first Western leader who did exactly what the Occupy movement was demanding on the streets. They could not let him set such an example to be followed, so they started to smear. That was the moment he stopped being their SOB, and became “Viktator”. Get a clue! You are the typical brainwashed sheeple who gobbles up a reality fed to you by what is in fact the most formidable and successful propaganda machine ever created in human history. You are proof of their success.